It’s not just Henwood’s honesty in conversation that strikes you. She’s every bit as open in her songwriting, which finds her dealing, as often as not, with deeply personal – though universal – themes and drawing on sometimes painful experiences. As a writer and performer she belongs to a tradition, though perhaps not solely to the one many expected after she and her brother, Joe, won BBC Radio 2’s Young Folk Award in 2009. 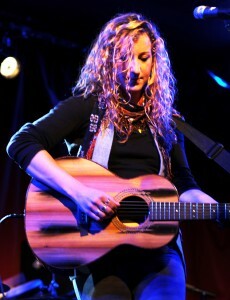 Instead, the lineage that Henwood can claim is the same one that Bob Dylan tapped in to when he upset folk purists, first by writing his own songs, then by going electric; she is closer in spirit to idiosyncratic singer-songwriters such as her key influences – Elliott Smith, Bill Withers, Anaïs Mitchell – or to those writers who similarly dig down deep into music’s roots to find new ways to innovate: Terry Callier, Tom Waits, PJ Harvey. 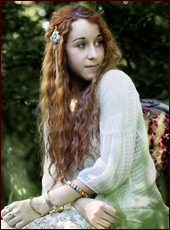 Megan, now 27, began writing songs at the age of nine. She learned from the greats and absorbed the most important lessons early on. It was mum who entered Megan and Joe in the Folk Awards, mainly so that the pair would be able to attend the first stage of the competition, which was a weekend of workshops. Their victory came as a complete surprise. Making Waves was an impressive opening statement, with songs like the single What Elliott Said – a homage to her songwriting hero – showing that Megan could captivate listeners with a beguiling sense of deeply personal mystery, while Free and Focused found her opening up on the difficulty of maintaining self-worth in a world that rewards relentless drive, where the line between confidence and arrogance is often blurred. But by opting to record with some big names from the folk world, the record may have given too limited a glimpse of her capabilities. Head, Heart, Hand puts that right. It is an altogether more accomplished work, Megan’s formidable and growing writing skills matched by a meticulous production that burnishes the songs until they glow. Whether she is carefully balancing contrasting images in These Walls (“Sick to my stomach, cold to my core”; “Throw me a lifeline, show me the dead”), sketching enigmatic characters in Garden, or telling complicated family sagas with powerful economy of detail (the closing Painkiller deals with the death of her uncle and the astonishing story of her father’s adoption), Henwood is in absolute command of her art. The record was produced by Megan and multi-instrumentalist/writer and performer with ‘Nubiyan Twist’ Tom Excell, and recorded in a studio Joe and Megan built inside a renovated farm building in Oxfordshire, where the soundproofing was provided by 580 straw bales. Megan is keen to stress its collaborative nature, and pay homage to the extended family of musicians, artists, instrument-builders and photographers who she enlisted to help bring her ideas to fruition. It may not be “folk” music per se, but there is no doubting its sense of place, its rooting in an artistic and creative community, and its intrinsic and undeniable claim to authenticity. The album is the culmination of a philosophy about art and life that Henwood has absorbed from birth. She borrowed the album title from her dad, a boat-builder, who had coined the phrase for a book he published in 2012. The idea is something Megan has carried through to her music, which maintains a perfect balance between intellect, emotion and effort. “I’m not a boat-builder and my dad’s not a songwriter, but there’s that idea connecting everything,” she explains. “It’s about working really hard at what you do, and honing your craft and trying to be the best you can at it – not letting your heart completely cover over things, but not letting your head get in the way either.” There seems little danger that she will ever let that happen. So has the growing legion of admirers of one of Britain’s most promising singer-songwriters. The wait has been completely worthwhile, because the winner of the BBC Radio 2 Young Folk Award for 2009, when she was just 20, has been polishing her performing and writing skills with a maturity way beyond her years. ‘Making Waves’ may be her first album, but Megan has been places and done things, from giving up her talents in the cause of music therapy to touring with Eric Bibb, recording in Kathmandu and driving across Europe and Asia. Now, as we’ll hear, she’s preparing to live life on the road in the truest sense of the phrase. The album is a collection of assured and imaginative work featuring guest appearances from an impressive array of contributors, including beloved British performer Joe Brown, his daughter Sam, Steve Marriott’s singing daughter Mollie, violinist Peter Knight of English folk treasures Steeleye Span, one-time Jethro Tull member Barrie Barlow and Megan’s younger brother, saxophonist Joe Henwood, with whom she won that prestigious folk award recognition. Megan has been road-testing the album not just across the UK (including at her debut Glastonbury in 2010) but on her extensive worldwide travels. Now she gets to take these songs for a spin for the summer, with appearances at the Larmer Tree Festival, the Secret Garden Party, the Cambridge Folk Festival and more, and in unusual style, as she explains. “I’m about to become a full-blown gypsy,” she says. “I’ve just bought a 1972 vintage Airstream caravan, which I’m going to renovate and live in and tour in. When I was 18, my partner at the time had a camper van that we converted, and we ended up going a bit mad. We drove it around Europe, shipped it from Greece to Singapore, then drove it up through Malaysia and Thailand. “Ever since then, I’ve wanted to do that again. Just living in a small space and being able to make your home wherever you park it, it really appeals to me. If you’re a musician, I don’t think you spend a lot of time at home, so there’s not really any point in renting somewhere or buying it. Really all I want is a guitar and my caravan. Megan speaks like the real troubadour she is. “It was an amazing process doing the album, and I had some incredible musicians that I was really lucky to be working with,” she says. “I really feel like I can stand by this album now.” With her love of language, ear for captivating melodies and harmonies and her distinctively rich and sumptuous voice, we should have expected nothing less. Based near Oxford, she’s what you might call a young veteran of songwriting, even if the memory brings a wry smile to her lips. “I used to write with my friend Rosie when I was about nine years old, about love and marriage and heaven, all these things we knew a lot about,” she says drily. “Then I just realised that I really enjoyed it. I’ve never really been taught guitar, I did piano and hated it when I was young but my mum really forced me, and I’m very grateful that she did. Then I was given a guitar when I was 14 and just went from there.” Inspiration would follow from the soulful brilliance of Bill Withers to the acoustic sensibilities of singer-writer Anaïs Mitchell. The place she truly fell for was Nepal. “I have so many stories and so much love for the country that I tend to get pretty carried away,” she smiles. “I first went there when I was 18 and I’ve been back many times since. I love India, but it’s so hectic and often overwhelming. Nepal still has the energy, vibrancy and colour of India but with a much calmer atmosphere and slower pace. What a pleasure, then, to say a proper hello to a truly original British talent, who came in through the folk door but has real multi-lingual skills that also embrace pop, blues and more. “I’ve been brought up with the idea of loving what you do and making beautiful things no matter how long it takes,” says Megan. She could be talking about her album.